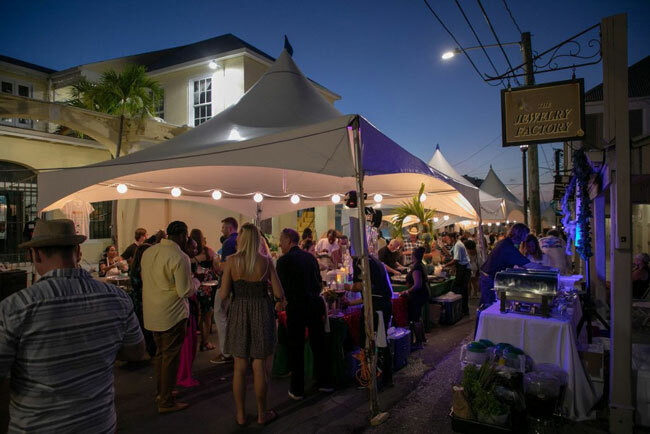 On April 11, 2019 restaurateurs, chefs, farmers, and fishermen will set up shop in Downtown Christiansted for the main event. After two (2) category 5 Hurricanes, a long search for a venue (due to the destruction of Divi Carina Bay Resort), and many other obstacles; Taste of St. Croix Inc., the VI Department of Tourism, and Caravelle Hotel & Casino, and our many sponsors and partners presented the 18th Annual Taste of St. Croix on November 15, 2018 in downtown Christiansted. Yes! We had 17 years of history, legacy and a reputable brand to live up to… yet, many called it ‘a huge success’ and compared it to prior years. For this, we were proud. We are excited and ready once again to host the 19th Annual Taste of St. Croix on Thursday April 11, 2019 in downtown Christiansted. Yes, it’s back to its original month of April! Once again, we would also like to THANK our partner of 17 years, the management and staff of Divi Carina Bay Resort & Casino. They remain closed for reconstruction in 2019. Registration for Restaurants, Caterers, Distributors, and others will begin Monday, February 25, 2019. Please logon to www.tasteofstcroix.com or email atasteofstcroix@yahoo.com for more information.